Having got that out – well, a wonderful read. I adored Lily and her friends. After being left at the alter she’s thrown herself into her job, really enjoys the way the local paper she writes for is part of the community. She’s battling the Editor though, when his predecessor left he’s been onto cost cutting articles and increasing ads and they are losing readers rapidly. Then after a quick visit from HQ she’s made editor temporarily, with a short time to bring sales up or the paper closes. HQ have left Christopher to help her, he wants a bigger role in the company and this is his test, help Lily pull things up. They come up with Buckley’s Bucket List, something adrenaline filled and adventurous Lily will do each week. I love the way the team all pull together, clearly they think well of Lily but until now none of them really act as a unit, as friends, but now Lily has them so full of ideas and enthusiasm. I enjoyed seeing how the List become profitable for the paper, not just from the column increasing readers, but from the tie ins with local producers bringing sponsorship and ads, and how now the staff felt now that their input was valued they had such great ideas. It was also interesting to see how a paper bases news outlet coped with becoming a paper and online outlet, and how lily relished the interaction with readers. It all felt very real. Of course Chris is gorgeous, good looking, ambitious and kind, he really helps Lily when she’s struggling with the challenges, and the attraction between them was very real feeling. Still, the course of True Love n’eer did run smooth and all that, and just when things are going well they suddenly aren’t. There are some great characters here, some fabulous humour and an enjoyable romance. 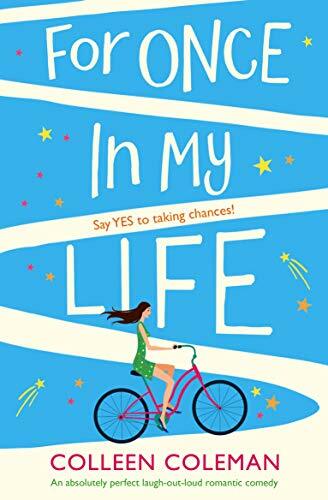 Its as much about learning ourselves as romance though, with Lily’s situation with her work, family and love life paralleling that of so many of us. I’d have liked a stronger side of romance but that’s just me….its a perfect story as it is, though it’s unlikely to be a re-reader for me because of the subtle romance angle. Stars: five, a wonderful, fun filled story.